After a 17-year break from filmmaking, the legendary Czech director Jerzy Skolimowski returned in 2008 with the intimate psychological thriller Four Nights with Anna. He has followed this up with Essential Killing, which opened the Kinoteka Polish Film Festival on March 24 and impressed audiences at the London Film Festival in October 2010. 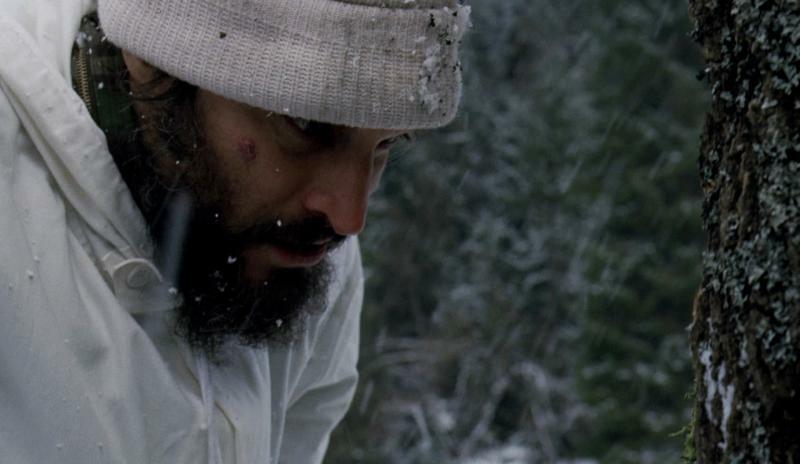 Starring Vincent Gallo as an unnamed Arabic-looking fighter, Essential Killing is an epic survival story set against a politically charged context. Virginie Sélavy talked to Jerzy Skolimowski during last year’s London Film Festival and asked him about working with Vincent Gallo, making political films and his interest in outsiders. VS: Essential Killing is more ambitious than Four Nights with Anna. What made you want to make such a film after Anna? JS: The shortest answer is that it’s because I’m lazy, which is only half a joke. I managed to make Four Nights with Anna all around my house. I live in a part of Poland called Masuria, which is a district of lakes and forest. It was very convenient and a great comfort to sleep in my bed, and to not be driven for hours to the locations and stay in terrible hotels. I was looking for the possibility of repeating the same formula. I was aware that in my neighbourhood, about 15 miles from my forest, was the secret military airport called Szymany, where the rumour (which is by now nearly 100% confirmed) said that they let the CIA planes land, bringing Middle Eastern prisoners, who were then taken to secret sites and most likely tortured. But I wasn’t paying any attention to that because it’s a highly political subject and I stay away from politics. I burned my fingers with Hands Up, this anti-Stalinist film I made many years ago [in 1967], which practically ruined my life. I was expelled from Poland, but anyway, it’s a long story! One winter night, I was driving my car – it’s a very good car, a four-wheel drive – I swerved off the road and I stopped at the last moment before rolling over down the slope, which would have had tragic consequences. At that moment, I realised that I was just next to the airport. On that very road, at that very same place, those military convoys must have been passing, so I thought that if it could happen to me it could happen to them. At that moment I imagined a military van going down the slope, a prisoner is thrown out and escapes, and I saw the image of the man barefoot with shackles on his feet and hands in the light of the road, in -30&#176C, running away in the forest. And I thought, yes, this is my film. Forget the politics, I can squeeze it into the introduction in the most enigmatic way possible, and then I have my film of the man who is running away and turning into a wild animal, who has to kill in order to survive. And I thought, this is a film I can shoot from my house. But the project got bigger and bigger, and we had to get a Norwegian partner to have guaranteed snow. Winter in Poland is not always snowy. So the snow scenes were all shot in Norway? No, it was a snowy winter in Poland after all, so a good part of it was shot there, a good part was shot in Norway, and the Middle East scenes were shot in Israel. There are no indications as to where exactly the story is set. Why did you leave the locations undefined? Because in my opinion it’s a very universal story, and it doesn’t matter where it takes place. What matters are the circumstances in which this man is running away. And because he doesn’t know where he is, I don’t think the audience should know. Let them feel what he feels – where the hell is this, where am I? You barely hear the language that people speak. It is Polish, but for the international audience it could sound Russian, or Ukrainian, or Lithuanian. Do you feel it’s a political film? Of course, to a certain extent it is. But we don’t even know where we are at the beginning either – it could be Iraq, Afghanistan, or Pakistan, next to the border. We only see that there is the American army on one side and some guy in a turban, who does not even look Arabic. So we don’t know if he’s Taliban, al-Qaeda, if he’s just an innocent man in the wrong place at the wrong time, and all this doesn’t matter. This is not a documentary. I’m not saying, look at how Americans treat people. No, it’s a fiction, it’s a contemporary macabre tale of our world. The film seems to be about what it’s like to be a human being in extreme conditions, and of course, it’s interesting that you chose someone who looks like an ‘enemy’ of the West. What is more interesting is that we don’t know if the character played by Vincent Gallo is even an Arab. He could be an American or a European who has converted to Islam, went to an Arab country 10 or 20 years ago, started working there, got a Muslim wife and a child. But he doesn’t need to be involved in politics at all. We know he’s involved in religion from the bits and pieces that go through his mind. But they were precisely chosen so they don’t indicate anything. I put a lot of effort into making them as wide and ambiguous as possible. Does the title refer to Gallo’s character’s necessary killing in order to survive or could it mean ‘the essence of killing’? It works both ways, and actually ‘The Essence of Killing’ was the alternative title, and at the last moment I chose Essential Killing. How did Vincent Gallo get involved in the film? That was a nice coincidence. Last year, I arrived in Cannes for the beginning of the Quinzaine des Réalisateurs, which opened with Francis Ford Coppola’s Tetro. Before I went to see the film I met my friend Jeremy Thomas, with whom I made The Shout years ago . I’d sent him the script for Essential Killing just four days before for advice. Jeremy said, ‘Listen, it’s a wonderful script and if you cast it right, if you get so-called names, you will have a great chance to get out of the art-house ghetto’. Those were the words he said. So I went to see Tetro in the evening, I liked the film, I liked Gallo’s performance in it, and when the film ended I saw Gallo coming towards me. We’ve known each other socially for years, we even acted together in a movie, LA without Map, by Mika Kaurismä;ki. As he was approaching I noticed a certain animalistic quality in how he was walking, and I was thinking that quality would be good for the character in my film. So I stopped him and I said, ‘Vincent, I have a script that I’d like you to read’. Two hours later, he called me. He said, ‘This is a phenomenal script, I must do it. I love to run barefoot in the snow, I’m from Buffalo, it’s always so cold’. So I thought, right, maybe he’s exaggerating a little bit, but I said, ‘It’s May now, we’ll start shooting in the winter. If you’re serious, then start growing a beard’. And he did. And six months later we did it, and he had long hair and a long beard. He gives a fantastic performance in the film. Phenomenal. I cannot imagine anybody else being better in that role. It’s really an ‘Academy Award’ performance. What struck me also about the film are the landscapes, first the deserts, then the snow. There’s a real interest in nature. Is that a new thing for you? Well, all my life I’ve lived in the forest. It’s a really wild forest. Almost every day I see wild animals, deer or boars. I enjoy that. All my life, except maybe the 25 years I spent in California, I’ve spent in the open space. I like living in a wild forest. I withdraw from civilisation and very much into nature. What interested you in the scenery? The relationship between man and the landscape. And the story calls for it. It’s very natural, he runs, and runs, and he passes picturesque locations. And the process of him turning into an animal and being connected to the animals at the same time. That was really fascinating. There’s very little dialogue, and the film seems concerned with non-verbal communication, which culminates in the scene with Emmanuelle Seigner’s mute character towards the end. That was one of the most important themes in the film. If there is communication it’s not through language, it’s something else, the spirit of mercy or whatever you want to call it. Another thing that struck me about the film was its intense physicality, and it’s something that recurs in your films. Is that a conscious thing? It is conscious. It’s also connected with the fact that I avoid dialogue. There is too much talking in films. Cinema is moving pictures, it has to have movement, actual physical activity. Even if a film has good dialogue, I think, all right, it’s well written, nicely acted, but yadda yadda yadda… So I try and do something different. Your first film, Identifications Marks: None, focused on a deserter, who in the end joins the army. Do you have a particular interest in soldiers and deserters? Do you feel there is a connection between that film and Essential Killing? Obviously I’m interested in outsiders, and practically all the characters in my films are outsiders, which is a little bit of a self-portrait. I stay away from people, I don’t go to film openings, parties, etc., it’s a little bit like torture for me. Of course when it comes to my own films I do it for promotion because it’s part of the job, but I stay away from it as much as possible. And Vincent Gallo is an outsider too, an extreme one. What has been the response to the film? Has anyone commented on the fact that we’re led to identify with someone who may be a Taliban or al-Qaeda fighter? Some critics cleverly got the message that it doesn’t matter. Those who didn’t thought that maybe the film should point out more where we are and what it’s all about. They don’t get the universal meaning of the story, they want the facts, which I purposefully avoided. In a previous interview with Electric Sheep you explained that in painting you felt you didn’t have to make any compromises and that you were making pure creative art. Did you feel you had total creative control on Essential Killing? Oh yes. Same as with Four Nights with Anna. With those two films I was also my own producer, so it was much easier to control everything. I took a 17-year break from filmmaking because I was very unhappy with a couple of films that I’d made before and I promised to myself that if I returned to filmmaking I would never, ever make another average film. It had to be something special and unique, and I think I’ve kept my promise!